Have you ever taken an oath? To tell the truth; to discharge an office faithfully; to honor and obey? The oath we take as lawyers reads: "I do solemnly swear that I will demean myself uprightly and according to law; and that I will support the Constitution of the United States." Many of us in the legal profession probably don't think much about the oath we took years ago as we were admitted to the bar. Like many things in life, if we do not need it every day, we often forget about it. But the promise to demean oneself "uprightly and according to law" is based upon fundamentally important principles that must guide our actions every day. If we forget, or even neglect our oath, we gradually abandon our principles; if we abandon our principles, then our mission as lawyers becomes less a mission, and more aimless wandering. At Thaler Liebeler LLP, we are dedicated to the practice of law, not as a job, but as a craft - a mission if you will; a mission whose aim is based upon important principles: Loyalty to Each Client: We are your advocates; Honesty to each client: we will tell you what we think, not what we think you want to hear. Commitment to Excellence: There is no substitute for hard work, attention to detail, and professional skill. The Golden Rule: Taking ethical shortcuts may be tempting, but it is habit forming, and it is wrong. We take the ethical standards of our profession seriously. We practice law with respect for our clients, our adversaries and the courts. And, we are mindful of Justice Sutherland's counsel to "throw hard blows" but not "foul blows." Berger v. United States, 295 U.S. 78 (1935). To you, our clients, we guarantee that we will not abandon our principles. You have heard the judge say to the jury: "Do not form an opinion about the case until you have heard all the evidence." Despite this admonishment, study after study shows that jurors do exactly the opposite; they form an opinion about a case during opening statement. That initial impression affects the way a juror then views all the evidence they hear after opening statement. That initial opinion also profoundly affects the decision each juror will make during final deliberations. Eighty-five percent of the time the juror's initial impression of the case will be the way they vote in the jury room at the end of the case. That is important information to know as a litigator and a trial attorney. Establishing credibility and trust with a jury (and the judge) during opening statement is absolutely critical. Explain your case simply and logically. Do not overstate your case. Tell the jury how you will prove your case. Then, prove your case with the best evidence you have. Avoid the theatrics you see in television courtroom dramas. Juries, and judges, know a "poser" when they see one. Thaler Liebeler attorneys litigate and try cases in federal and state courts in the Washington, D.C. area, throughout the mid-Atlantic region, and across the country. We have conducted and won jury trials, bench trials, arbitrations, contested evidentiary hearings, and administrative proceedings by applying the fundamental principles described above. Extensive preparation is critical. Know the law; know the facts. Only then will the lawyer be able to make the important decisions about what will win the case. While we'd like to say we have won all our cases at trial, the truth is we haven't. We've won most of our cases by filing persuasive written briefs and motions, thereby winning the case before a trial is even necessary. The same important principles apply when writing a brief and arguing the client's case to the judge. Establish your credibility at the start, and never give it up. Present your case simply and logically. Argue your case directly and forcefully. Get to the point quickly; brevity trumps verbosity: "I should be glad if I could flatter myself that I came as near to the central idea of the occasion, in two hours, as you did in two minutes." Edward Everett to Abraham Lincoln after the Gettsburg Address (1863) Thaler Liebeler provides effective and efficient litigation services to its clients in a wide variety of substantive areas, and has done so for more than 20 years. Paul S. Thaler is a founding partner at Thaler Liebeler, LLP and practices in the area of civil litigation. His specialties include business law, employment law, and family law. Mr. Thaler has represented clients in state and federal courts throughout the Washington, D.C. metropolitan area as well as in numerous federal courts across the country. 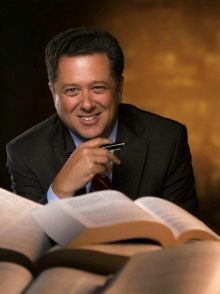 He has successfully defended and prosecuted a wide variety of claims, including breach of commercial contracts, scientific misconduct, theft of trade secrets, copyright infringement, unlawful discrimination, wrongful termination, workplace violence, and divorce. In 2000, Mr. Thaler successfully litigated a case of first impression in the Commonwealth of Virginia concerning the ownership of an Internet domain name. Mr. Thaler is known across the country for his work in scientific misconduct matters. He has assisted scientists in many states including cases in Maryland, Washington, D.C., Delaware, Colorado, California, New York, Washington, Utah, North Carolina, Connecticut, Massachusetts, Kentucky and Tennessee as well as Canada and has become well-known in the scientific community for obtaining successful results for his clients. Mr. Thaler has received an "AV" rating from Martindale-Hubbell, the highest rating of legal ability and ethics given to attorneys in the United States. The rating was the result of an extensive and confidential peer review by members of the Bar, including local judges. Mr. Thaler has provided private ADR services since 1992, specializing in mediation of business, employment and family disputes. He has been a mediator appointed by the Superior Court of the District of Columbia since 1992 and has mediated or arbitrated hundreds of matters, most notably a successful mediation spanning 6-months between a local university and its neighbors concerning a new school building. He has been interviewed in numerous national publications, appeared on network television and testified before the Maryland General Assembly concerning ADR. In 2009, Mr. Thaler was appointed to serve as an arbitrator on the D.C. Bar's Attorney/Client Arbitration Board ("ACAB"), Fee Arbitration Service. The ACAB is set up to arbitrate fee disputes and malpractice claims between clients and their lawyers. Since 1994, Mr. Thaler has been a regular guest lecturer on the subjects of negotiation and mediation at the George Washington University Law School. He is also an adjunct professor at American University's Kogod School of Business, teaching courses in Business Ethics and Business Law since 1999. Mr. Thaler, as a member of the American Bar Association Section of Dispute Resolution, served as Vice Chair of the Ethics Committee, 1994-98. His biography appears in Who's Who in the World, Who's Who in American Law, Who's Who in America and Who's Who in Finance and Industry. Mr. Thaler is a fifth-generation Washingtonian and graduated from St. Albans School (Washington, D.C.) in 1979. He received his A.B. from Vassar College in 1983 and his J.D. from Georgetown University in 1987. He is a member of the Washington, D.C. and Maryland bars. Mr. Thaler is also admitted to the United States Supreme Court; the U.S. Circuit Courts for the Fourth, Federal and D.C. Circuits; the U.S. District Court for the District of Columbia, the District of Maryland; and the Court of International Trade. Mr. Thaler served as an appointed member representative of the Montgomery County (Md.) BRAC Implementation Committee (2007- 2011)(addressing the impact of the Walter Reed Hospital closure and move to Bethesda Naval Medical Center); Vice-chair of the Coalition of Military Medical Center Neighbors (2007- 2011); a member of the Board of Trustees for the National Child Research Center (Washington, D.C.) (1998-2001); an appointed member of the Vassar College Fund Advisory Committee (1996-99); and as Treasurer and a member of the Board of Directors for the Montgomery Highlands Estates Homeowners Association (Silver Spring, Md.) (1990 - 1999). Mr. Thaler also proudly served as a coach and assistant coach for numerous baseball, basketball, football and soccer teams (1998-2008) as well as the stadium announcer for the Walter Johnson High School Wildcats junior varsity football team. Mr. Thaler lives with his wife, Melinda, and their two children, Rachel and Daniel, in Bethesda, Maryland.